We spent two days at Beipiao but this was the only presentable shot we got of a train in sun. 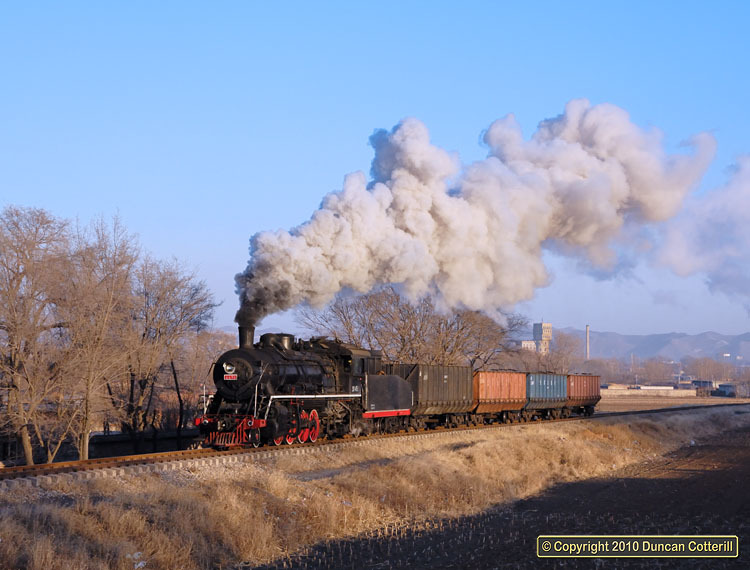 SY 1451 was captured taking four hopper wagons to Sanjing Mine, on the afternoon of 6 December 2010. The advancing shadows can clearly be seen and, seconds after the train had passed, the line was in shadow.